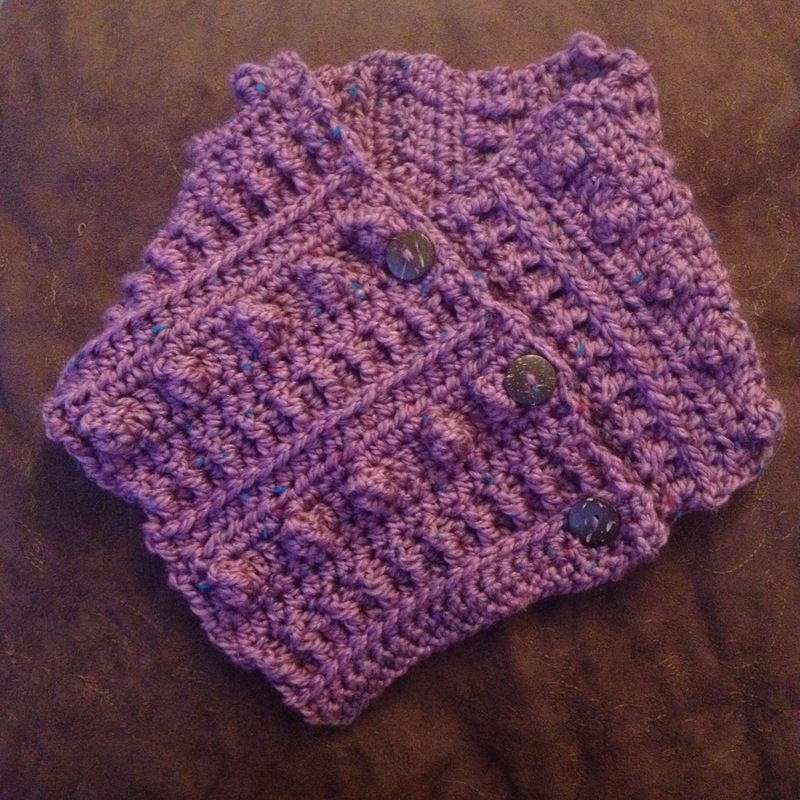 Chunky Buttoned Cowl by the messy mama! This buttoned cowl pattern uses 100g of chunky yarn and a 5mm hook. I used King Cole Glitz Chunky for this project. The pattern is written using US terms. It roughly follows an 8-row repeat, with adjustments to allow for buttonholes where needed. 23-46) repeat rows 7-14 three more times. Sew on three buttons, one to each corner and one in the middle, between the two corner buttons (approximately on row 50). The centre button should align with the double crochets on row 8, using the space between the second dc and the first popcorn as the buttonhole. Weave in all ends. You can see the pattern repeat a little more clearly here. Purple Heather – this used the shorter (21st) foundation row, and as the yarn was physically thicker I went up a hook size and used a 5.5mm instead of a 5mm. This version starts with a foundation sc row of 21 instead of 25. The only real difference is on the popcorn rows, where there are 3dc in between popcorn stitches instead of 4dc, and at the end where you can add more rows before running out of yarn from a single 100g ball. 23-54) repeat rows 7-14 four more times. Sew on three buttons, one to each corner and one in the middle, between the two corner buttons (approximately on row 55). The centre button should align with the double crochets on row 8, using the space between the second dc and the first popcorn as the buttonhole. Weave in all ends. This entry was posted on January 22, 2016 by the messy mama in clothing, scarf.